Fleksy, a third party keyboard app for Android and iOS which is known for its ability for correcting your wrong spelling pretty quick have brought their app specifically for the Samsung Galaxy Gear. The app which was originally developed for people with vision issues came out of beta just last month and now the app will let you type on your Galaxy Gear display for the first time. 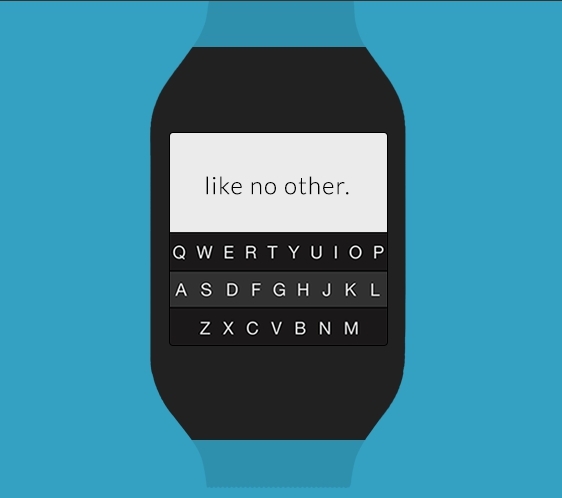 The app brings a QWERTY keyboard to the Galaxy Gear which is quite similar looking to what Fleksy offers on its Android and iOS app but smaller to fit the small display on the Galaxy Gear. It is sure to make typing on the Galaxy Gear a lot easier thanks to its great auto-correction. Since there is no app store for the smartwatches so you’ll have to download the APK file from the Google Play Store and then sideload the app onto the Galaxy Gear but if you have a Galaxy Gear then you should surely give Fleksy a try considering typing through voice commands ain’t that easy.